SoCalCross, RideCX.com team up for free junior/youth racing Junior and youth cyclists race free at Spooky Cross, thanks to partnership between the Southern California Prestige Series of Cyclocross and cyclocross retailer RideCX.com. Junior and youth cyclists who want to participate in cyclocross have one less thing to worry about – race entry fees. Thanks to a partnership between the Southern California Prestige Series of Cyclocross (“SoCalCross”) and RideCX, they’ll pay no entry fees at the upcoming Spooky Cross race, allowing everyone to give the fast-growing sport a try. 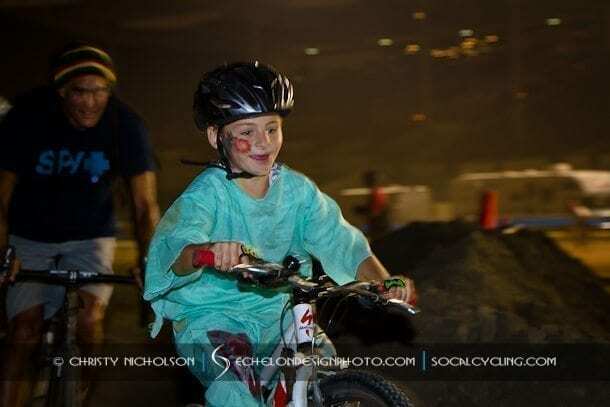 Spooky Cross takes place October 29 at Irvine Lakeview Park – Baja Beach Club, 5305 Santiago Canyon Road, Silverado, CA 92676. Race details and pre-registration are available at https://www.socalcross.org . The event features a costume contest, night racing under the lights, and races for all ages and abilities with a spectator friendly course; plus Kiddie and Doggie Cross Fundraiser and Shoe Drive for Underdog Rescue. Cyclists competing in the junior or youth categories get their first race free on Saturday. All riders are encouraged to continue the racing weekend on Sunday, October 30, at the same location with the Dia de los Muertos event, including a full 2nd day of cyclocross racing for all categories. With a chance of wet weather in the forecast, all racers and spectators should monitor SoCalCross’ Facebook and Twitter for any last-minute schedule adjustments.